If you're wondering what does marmite stands for, it is actually a French term for a large, covered earthenware or metal cooking pot. The British Marmite was originally supplied in an earthenware pot, but since the 1920s, it was changed into glass jars shaped like the French cooking pot. The immense popularity of this original version of Marmite sparked off the creation of other similar products (with or without the same name) but with different tastes, and the original British version of Marmite is a sticky, dark brown food paste with a distinctive, powerful flavour that is extremely salty. This acquired taste is reflected in the marketing slogan: Love it or Hate it. 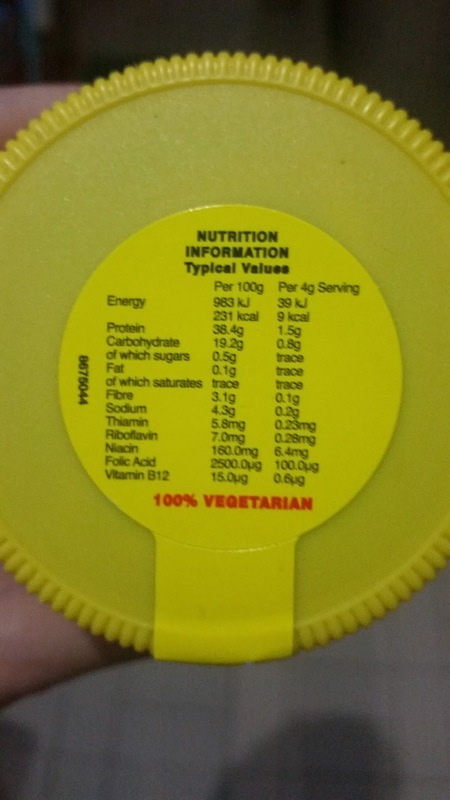 Apparently, the product's name has even entered British English as a metaphor for something that is of acquired taste or tends to polarised opinions. Believe it or not, I've literally grown up on Marmite. My mother used to feed me brown rice porridge with marmite when I started eating solid food when I was a baby. And since then, Marmite has stuck on in my diet. I never gave up on it. Beside folic acid, marmite is also high in various B vitamins, out of which Niacin (Vit B3) helps produces neutrophils, a white blood cell that helps our body's immune system fight against the Staphylococcus bacteria. Upon growing up, marmite still remains as one of the staples in my diet and there's never a day without a pot of marmite in my fridge. It's a must-add to my porridge, every single time, and on days I don't feel like eating 'proper meals' yet feels hungry, I'll just add some marmite to my cooked oatmeal and there you have it, yummy marmite oatmeal! Frankly speaking, I feel that those who couldn't stand the taste of marmite is because they simply didn't understand it. How many times have you watched a youtube video (the marmite challenge went pretty viral on youtube a while back) of someone who cringes after taking a bite of the marmite toast, only because he/she has spread on a thick layer of marmite on the toast as if it was peanut butter or fruit jam? I wouldn't eat that marmite toast, either. As mentioned above, marmite is extremely salty and should always be added sparingly. Well, unless you love eating salt by tablespoons, then go for it. And to better make use of my marmite (other than adding them to oatmeal and porridge), I decided to try out the extremely popular dish, Marmite Chicken! Stirfry the chicken until half cooked before adding in the seasoning. Continue stirfry for about 5 minutes until the seasoning mixture is reduced. Add shallot and chili if desire. If you prefer a thicker gravy, thicken with some cornstarch water. 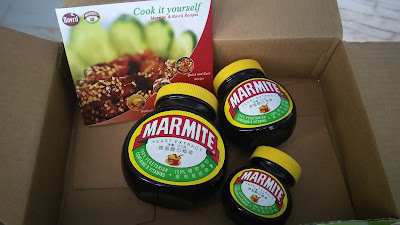 Starting from 8th August, you can redeem a FREE Marmite sample bottle from SampleStore.com HERE, whilst stock last. There will also be a #MyMarmiteMyWay review contest coming up on Sample Store. After redeeming your free Marmite sample, just share your personal experience on how you've enjoyed your free Marmite sample (eg. added it in your porridge etc) in your SampleStore review and 3 lucky winners will get to receive all 3 different sizes of Marmite! Winners to be announced on Sample Store Instagram & Facebook page. Contest ends 30th September 2016. I don't think I have tried marmite, but because when it comes to cooking, I am an idiot, I should focus on my strength. That is to admire the chicken you cooked and it looks tasty. I am biased too, because I love chicken. I think I eat chicken nearly everyday. My mom haven't tried Marmite before but since I've read this post, I could recommend this one to her!! Thank you for posting. Everyone in my house hates mar-mite but I LOVE IT! The chances of me ever trying this is slim but I hope it makes you feel better than I would love to! 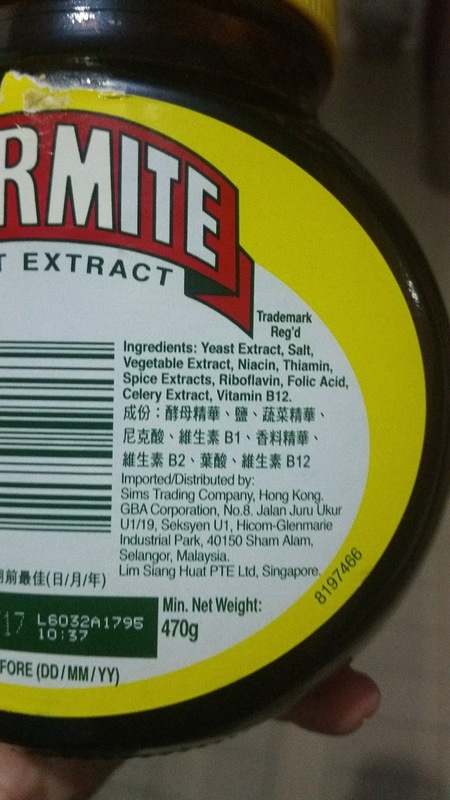 actually the marmite chicken doesn't really taste that much of marmite. maybe you can trick your family with that. my brother got tricked. he absolutely hated marmite. i heard he threw up when he was a kid because of marmite. I haven't tried Marmite before. But if you say, it was salty. I think I will like it too as much as you do. Thanks for sharing the dish recipe. Haven't tried this yet nor heard about this. Is this available in the Philippines? I haven't heard of this before. I am big time cooking lover. I just love cooking. Definitely gonna try this one soon. Exactly how does it taste ? My first encounter with marmite was with some british friends in south america that traveled with a pot of marmite in their backpacks. First taste was disgusting! and then i got kind of used to it. My husband quite likes it and we always have some at home. I use it for stews for some added flavor and it works quite well! I will try this marmite chicken!